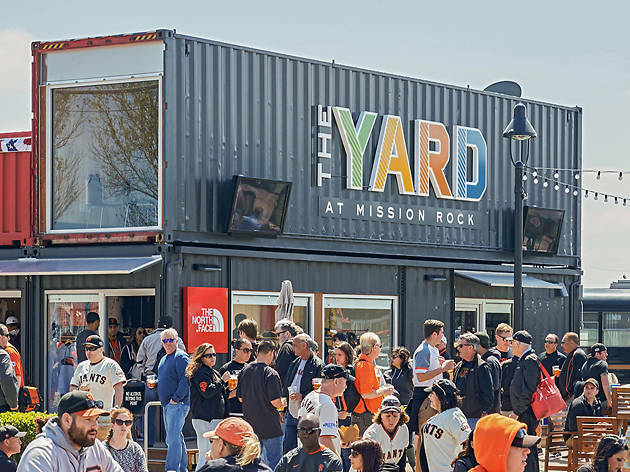 This pop-up village made entirely of shipping containers is the ideal place to tailgate before (or celebrate after) a Giants game. With views of AT&T Park and the San Francisco Bay, the space is spacious and the crowd is spirited. There are ample picnic tables for lounging and a fleet of Off the Grid food trucks nearby (including The Whole Beast for smoked brisket, ribs, and pulled pork). The 12 to 15 beers on tap come courtesy of Anchor Brewing Company, a San Francisco standby since 1896. The beers are all handmade in a traditional copper brewhouse from an alt-malt mash. The seasonal assortment might include a summer wheat, porter, stout, saison, or Meyer lemon lager.